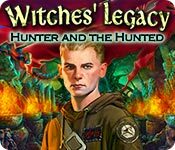 Witches' Legacy: Hunter and the Hunted is rated 4.2 out of 5 by 23. 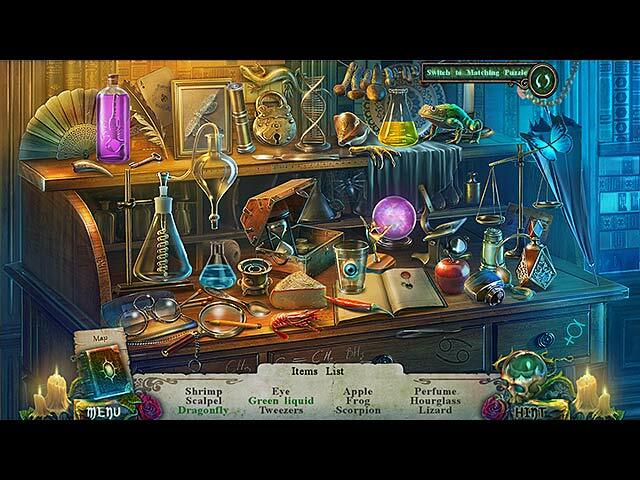 Rated 5 out of 5 by Kimmycoo from Fabulous Series I now have all of the games in the Witches Legacy games. I totally love the scenes, the story lines, HOS and mini games. They have the BEST voice overs youll hear in a game. Some unique mini games and HOS. I always look forward to a new one of these coming out! FAB! Rated 5 out of 5 by navajoeyes2 from Whiches' Legacy; Hunter and the Hunted Great story line and graphics, the puzzles were not too challenging but very fun with a little difference to them then others. Very enjoyable. Rated 5 out of 5 by tutortime from Loved it ! Great game. Beautiful colors and graphics. Rated 5 out of 5 by DiDi212 from I Really Loved This Game. Bring on Some more of the Same! This review is based on playing the SE in casual mode and completing the game (and wanting a sequel right away!). The story has a good witch, some bad witches, and several very attractive heroes IMHO. I won't go into the story as much has already been said in some really awesome reviews. I've given this game a 5 because it met my opinion of excellence in every thing except level of challenge (4# and that was because this is an easy game but it held my attention #I never got lost) and kept me playing long after my bedtime. It has the best interactive map ever showing actual pictures of the scene and an exclamation mark showing some action can be taken there. The hint button has free directions and works standard, by pointing to an object, in both game play and in the HOS. The HOS are standard list or you have the option of playing a match game instead. I mostly played the HOS, but I did play a couple of the match games just to be able to comment on them in my review. The first match game I played left me with 3 tiles that didn't match so I finished in the HOS. The next time I played I didn't have any tiles left over. Other than that there were not technical issues in my game play -- no dragging custom cursor or long delay in scene changes. There were lots of puzzles ranging from very easy to not so easy, but there is a wonderful skip button that recharges fast. There is also a walk through of this game which is a good way to learn how to solve puzzles and if you want to learn a few tricks of game play. There are also mini scenes where you use a dream catcher to step into someone's dream -- how different is that! Don't exit out of the game when it has finished, but listen to a short narrative which I thought was very cool. As always I suggest you play the demo and read several of the reviews. I hope you read mine and it's helpful. Rated 5 out of 5 by cejene from Enjoyed this game Started out so so, but turned out to be a very good game. Enjoyed the HOS, but you could switch for a match game. Not fussy on puzzles. Good graphics and voice overs. Good story. 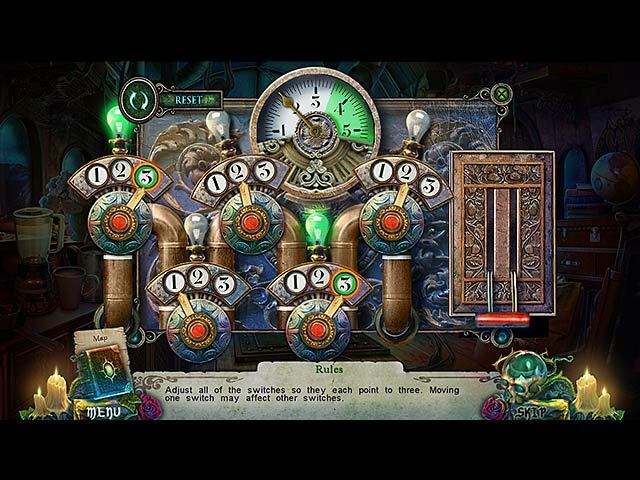 Rated 5 out of 5 by rosekaufmann from JUST LOVE IT SUMMARY: 5 minutes into the game, I knew I would be buying it. Good story, beautiful graphics and interesting, well thought-out gameplay. Very good production values - probably more so than the previous Witches Legacy games, which you won't need to play to understand the story. The cutscenes are very good and the voice overs are better. 4 volume controls; music is pleasant enough. 4 modes of difficulty, including custom (if you play custom, you can turn off the penalty for bad aim when clicking in the HOS). 2 Helpers: Imp which we've met in the prior games helps us out and Elizabeth, a doll which will give us direction in rescuing Lynn. Graphics are outstanding; HOS are mildly crowded, interactive and list-based. Puzzles are varied, many not seen a lot, and range from mildly to moderately difficult. Promises to be a few hours of very pleasant entertaining day. Rated 5 out of 5 by Italia47 from That witch is a sneaky one but will Edward and Lynn reunite? I found this SE version of Witches' Legacy: Hunter and the Hunted to be amazingly fun to play. The artwork was wonderful; the graphics in the HOS were crisp and clear; the music was great; the VOS the same. You have a lil' companion who is impish and devilish-looking but he's a good soul and a very dexterous helper when needed. There's a great jump-to map, journal, hint button if needed. The puzzles were tedious but not hard, still they were fun. The HOS were interactive and clever. You could opt to play a match game in its stead. 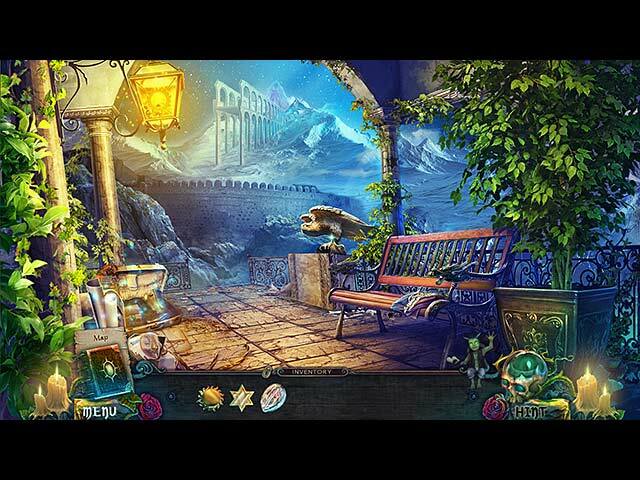 One particular hidden object scene was quite pleasant in that it had fruit, a bottle of wine, tomatoes, cooked pasta, salami. In the back of my mind, I thought, hmm, I'll bet there is a snake, or a bug, or a mouse etched somewhere in this scene, but not so. You'll come upon that same scene again to find other items. I gave this game a five-star rating for its intelligent script--yes, good vs. evil again, but that's pretty much the norm in most games. The game-flow was smooth. I did think that there were a few too many HOS, which will please those gamers who love them. I didn't get bored once either. I recommend this game. Rated 5 out of 5 by FORTUNATUS from Fantastic sound and voice.... graphics A+++ I begrudgingly downloaded this and was ultimately very glad I did.... I thought the cut scenes were some of the best I've seen and the sound and graphics in this game are EXCELLENT!! There is, indeed, a great deal of creativity woven through this game and my only regret is that it does have somewhat iffy content (based on my own personal comfort); yet the developers obviously did try to target multiple gamer 'likes' in this game and give them kudos for that. ie. I wasn't thrilled with a blazingly green eyed demon [aka "imp"] as my side kick, yet perhaps things evolve as the story continues and, again... the developers did an amazing job with graphics. Very realistic content, yet not so much as to be off-putting... you knew you were in a game and yet it was immersive enough to draw you in and want you to keep playing. The voices are SUPERBLY done IMHO and the sound is expertly keyed with gameplay! Definitely give the Demo trial a complete run... I do believe this game is under rated thus far and I will, personally, be torn whether or not to do SE or CE.... have fun!! Rated 5 out of 5 by pennmom36 from Boil, Boil And Lot's Of Trouble! Queen Morgana turned that evil witch Elizabeth into a teeny tiny doll last episode, perfectly harmless right? She is the witch responsible for the deaths of Lynn's parents. When she comes to you with a dire warning that The Order Of The Witch Hunters have a bounty on Lynn's head, you have no choice but to listen. I think this is a fantastic game, but I must admit I prefer the Collectors Edition because I'm a sucker for the extras especially the morph's. This is a continuing saga but the developers have done a really nice job of catching the player up to speed with a lead up introduction. This isn't a hard game to figure out but it doesn't become mundane at any point in the game. The Hidden Object Scenes are interactive list finds and I have noticed that the items to find are different if you replay the game (which I did because I missed 1 morph the first go round!) There is an option on either format to switch to a matching picture tile game, or mix it up and do a little of both! You can customize the difficulty of the game with glint options or active areas marked on the map, which happens to be an excellent jump map, and you can choose the amount of time for hint and skip button recharges. That adorable little green eyed Imp is along for the ride and willing to help you out by going where you cannot, and the CE allows you to earn achievements for putting the little guy to work. The mini games are really good, nothing that struck me as totally new, but enjoyable to figure out without blowing your mind. The games I liked the most were, matching up 8 spider legs which were actually keys, to their matching openings, and I also liked the game where you had to switch Witches from the left to the right and Hunters from the right to the left, if they were next to each other they would fight so you had to keep them separated at all times and you couldn't jump them either. This is a well produced game that tells a good story, with excellent graphics and fun HOS. I enjoyed playing this game and I think you will too, enjoy!